BURRY Peacefully, at home, surrounded by her loving family, on Wednesday, February 6, 2019, Catherine (Cathy) Stewart (formerly Whitfield Labour Club), beloved wife of the late Benny, much loved mum of Derek, David, Brian and Irene, loving mother-in-law, devoted gran, great-gran and good friend to many. Funeral service in Dundee Crematorium, on Thursday, February 21, at 12.30 p.m., to which all family and friends are respectfully invited. 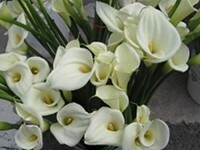 Family flowers only, please, but donations in lieu, if so desired, can be made at the Crematorium in aid of C. O. P. D. Nurses.